Skowhegan High has had its share of outstanding field hockey players, many of whom went on to play at the NCAA Division I level. Maliea Kelso can take her place among them. Kelso, a senior midfielder, finished her high school career as one of the school’s all-time leading scorers and will continue to play at Northeastern University. A smooth, highly skilled player, Kelso earned the respect of coaches across the state, not only with her play on the field but with her tenacity. 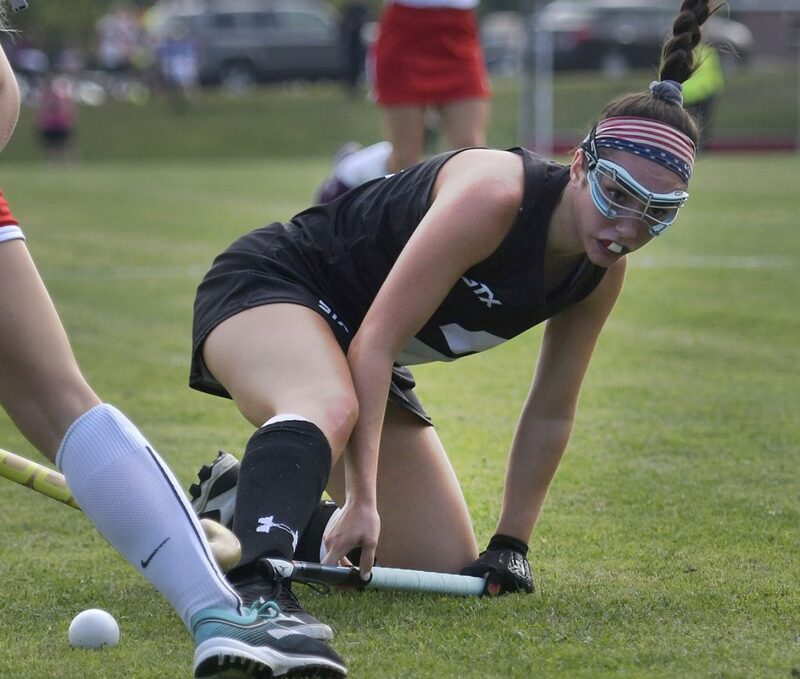 She is our selection as Maine Sunday Telegram field hockey player of the year. Kelso finished her career with 77 goals and 53 assists. She had 16 goals and 15 assists this year. She’s regarded as an exceptional stick-handler and passer, with an extremely hard touch on her shot and a tenacity to get the ball if someone else has it. “I guess I get that from my family,” said Kelso, noting her mother played at Skowhegan and an aunt played at Boston College. Her versatility was something to watch. Kelso was the shooter on most Skowhegan offensive corners, and was the flyer – the defender who rushes the player who is about to shoot the ball – on defensive corners. “I would say she was the most versatile kid on our team,” said Doughty. Kelso also competes in track and softball, but field hockey is her passion. She has participated in numerous national tournaments and last year was selected as a second-team All-American by the National Field Hockey Coaches Association. “Field hockey is something I’ve worked on my whole life,” said Kelso. While Skowhegan didn’t win the Class A state championship this fall, losing 4-3 to Biddeford in the final, the loss didn’t dampen Kelso’s career.